Use this coupon code at Crate Club to save 15% off all crates. Use this coupon code online at Crate Club for an extra 50% off your first crate. 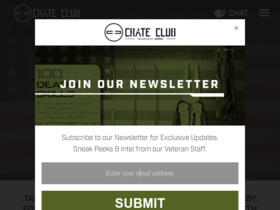 Sign up for an annual subscription at Crate Club for up to 30% off. Act fast and enjoy 10% off for life at Crate Club online. Check out Crate Club online for their latest special offers.